- Add a rainbow to your room! 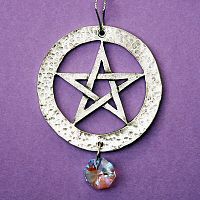 Hang one of these lead-free pewter suncatchers in any window of your home, and let the Austrian crystal work its magic. This pewter pentacle suncatcher is a wonderful focal point for your household magic. Measures 3", including crystal. Come explore our website today, and find unique items for your magical home. 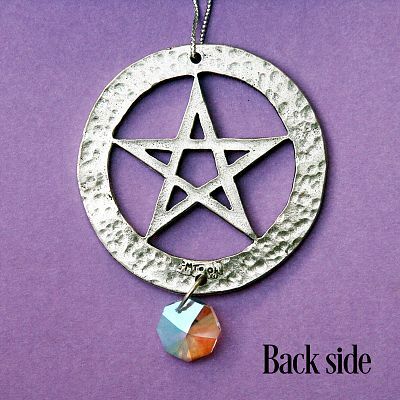 Do you have any other questions about our Pentacle Pewter Suncatcher?